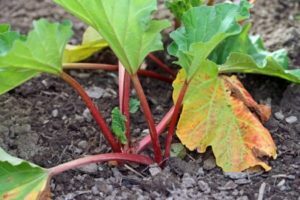 Can I Grow Rhubarb in a Container? I have something to admit. I hate rhubarb. But I love it too, and no summer seems complete without gnawing on rhubarb stalks dipped in sugar, or digging through my mom’s recipes for pie, or stealing interesting makes off social media… Yet there it is – this annoying obsession with this fruit? vegetable? weed? that I have to deal with year after year, refusing to grow it on my own, but desperately searching out extras amongst my gardening friends. One of my major hang-ups about having my own patch is how it grows. It gets huge. As in out of control. As in, oh my God somebody put a perimeter around that thing before it takes over the yard! Of course, each spring as it starts to grow I could start to thin it out and toss the divisions rather than replant – but who wants to do that? It feels like organic homicide. 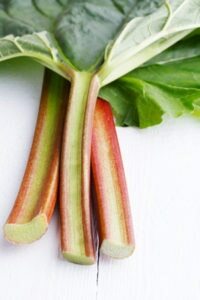 Come summer, social media lights up about rhubarb this, and rhubarb that – recipes, bars, pies, jams, sauces, gardening tips, giveaways by your friends who have more than they need… and rhubarb jealousy sets in, but what if you COULD grow it easily? 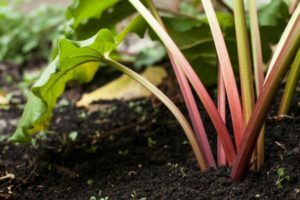 What if rhubarb could grow in a container? No fear, that’s EXACTLY what I’m here to talk to you about today! SO, CAN I GROW RHUBARB IN A POT? 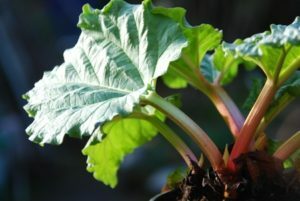 For the record, rhubarb is a perennial vegetable that can be traced back thousands of years to Asia, where it was an important part of herbal medicines. It is a harbinger of spring, and typically is one of the first plants to pop through the soil early in the season, quickly sending out reddish stalks and large sculpted leaves. Rhubarb is a cold climate plant that needs an extended chilling period of 40 degrees (fahrenheit) or below in order to ready itself for the following years crop. With that said, it does well from zones 4 through 7, and loves the sun as long as long as it gets enough water. Healthy plants will produce stalks for 7 years or more, and are constantly reproducing as well. Harvest begins in late spring and can last for 8 to 10 weeks with each plant yielding up to 3 pounds of produce! In short – yes! Most definitely! Although this is not considered the most ideal way to grow rhubarb. 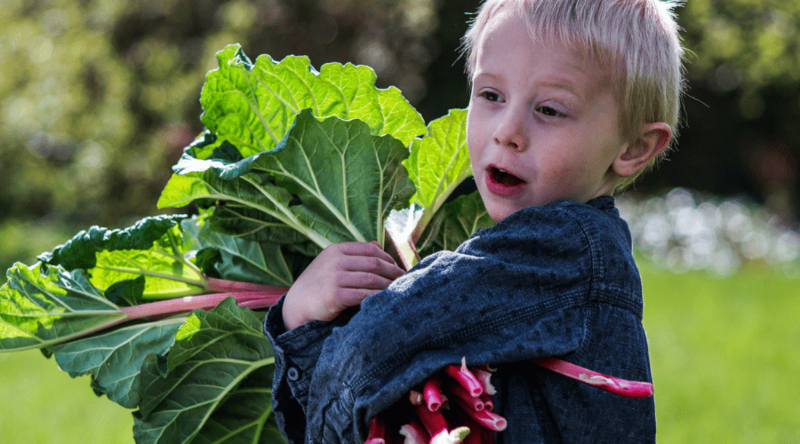 If you are practicing urban farming, or just don’t have the garden space – but MUST have rhubarb, there are a few tips to make this venture a success! 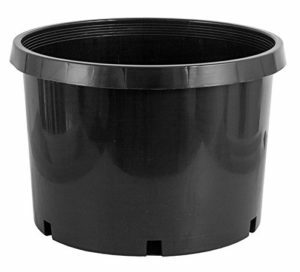 Rhubarb has a big root system, so you need to have a large patio pot that is able to hold at least 40 liters (approximately 1.5 cubic feet or 10 gallons) of soil. There are often many decorative pots available at your local gardening center that will be large enough. Remember, the larger the pot, the more soil you’ll need – but you will also have the added protection of further insulation in the winter. 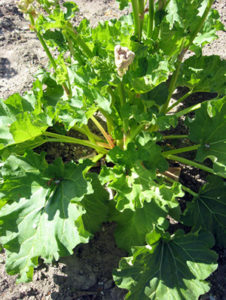 A general gardening soil mixed with a healthy compost will add the organic material that rhubarb loves. It also thrives best in a slightly acidic soil of 6.0 to 6.8. 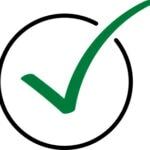 Even though it tends to do just fine in all soils, if you want to maximize your yields, purchase a simple pH test strip kit and follow the directions to check your soils. Adding acidity to your soils is easy and can be as simple as using your used coffee grounds. 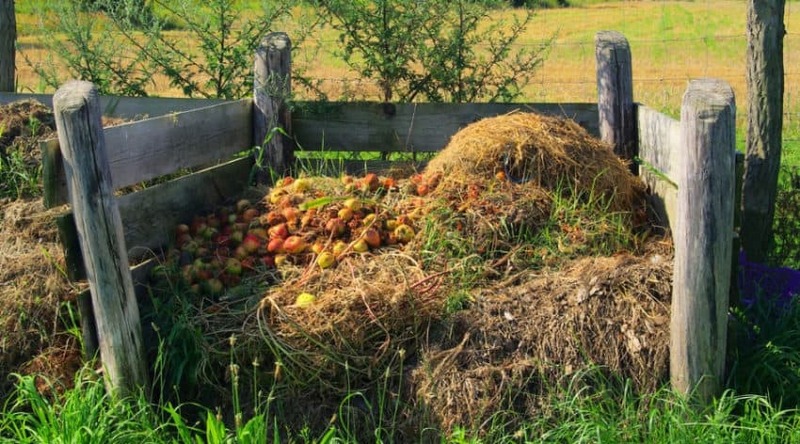 If you already use this in compost you are set to go! 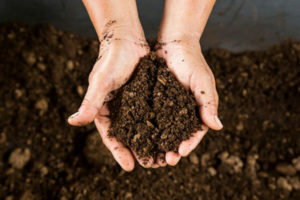 Most gardening soils are sold in 2 cubic foot bags for under $10, and a hearty mix of your own compost or manure will be much appreciated during the growing season, as well as help keep the moisture where it’s needed near the roots. For the first year, your mixed soils should be enough to get a good root system established and allow the plant to take hold. You won’t be doing any harvesting anyway during the initial season as you will want the leaves to take in as many nutrients as possible for the following season. 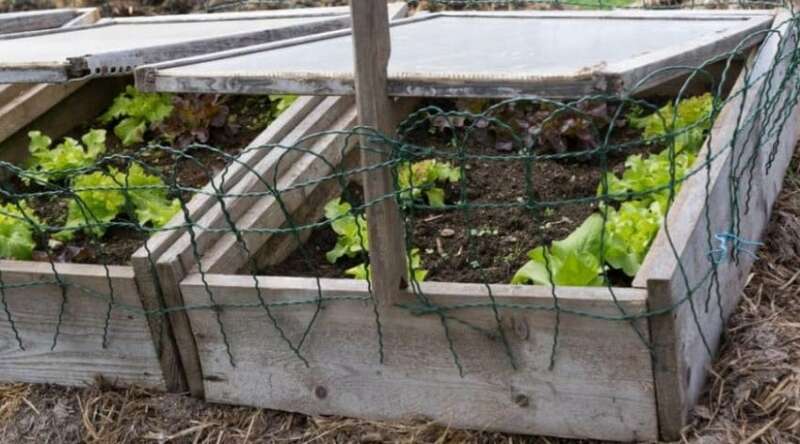 Come the following spring, you should use a 10-10-10 fertilizer, or a general-purpose garden fertilizer to give it that extra boost to begin producing. Rhubarb is an early crop, and harvest generally begins in the North in April and can run through September. As it begins to set blooms, you’ll want to remove those flowers so the energy goes into the yummy stalks! Stalks that are ready to harvest will be firm, 12 to 18 inches in length, and have a reddish hue during the second year. If it is lush and healthy during your first season, you may be able to harvest selectively (no more than 1/4th of the plant) to thin it out and give it more room to grow. When you decide which stalks to pick, either grab hold near the base and ‘twist and lift’ to break it free or cut it with a sharp knife as close to the base as you can. You’ll want to cut off the leaf and base- leaving only the stem to use in recipes. 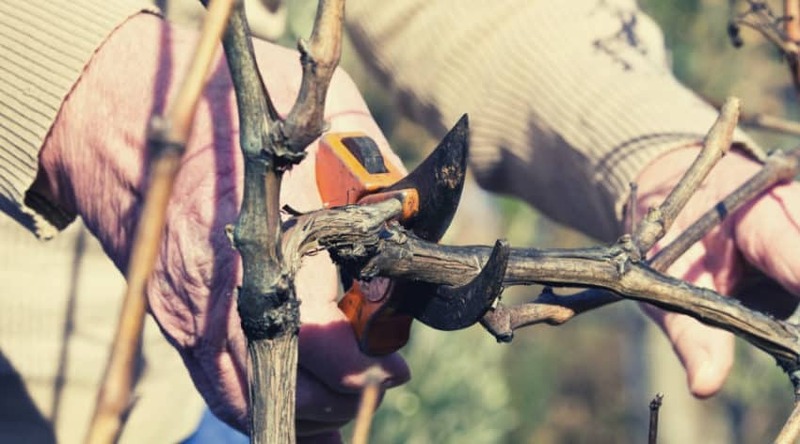 As mentioned, harvest can begin as early as April (earlier in the South) and you can either selectively harvest through the season, or take about half at a time. Over-harvesting will result in thin, weakened stems through the years since the plant gets its nutrients from the leaves that are left, so be sure to only take what you need. As winter approaches you’ll need to allow the leaves to die back naturally, and then cut the stalks to the ground, leaving the buds exposed. You can apply a mulch or manure to the plant at this point too to conserve moisture, but be sure to leave the crowns exposed or they may rot. Remember, rhubarb needs to be allowed to chill below 40 degrees for an extended period, but if you happen to live where it gets very cold, you may want to consider burying the pot in the soil or wrap your pot in bubble wrap and burlap to conserve enough heat to keep the roots from freezing. If you happen to have a shed or garage that will get cold but still keep a moderate temperature, that also is a good way to store it in there at least until early March, or when the worst of the deep freezes are over. After your plant has gone dormant (late fall before freezing, or early spring before re-emergence), you will need to lift and divide your plant into at least 3 pieces and replant them to keep it vigorous and healthy. When in the ground you will be doing this every 5 to 6 years. In a pot, you will need most likely need to do this after your third year, which then, of course, will reduce your next crop as the plant reestablishes. Ideally, growing rhubarb in a pot isn’t the best way to grow it. For the most part, rhubarb is a plant that is considered trouble free and easy to grow. In the ground, even if it is neglected it will continue to thrive with enough moisture – when left to its own devices. In a pot, there are many more factors to consider to keep your plant healthy and producing. 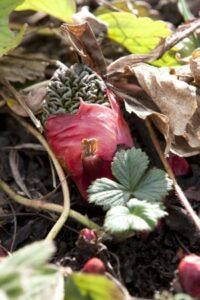 But with that being mentioned, given the proper mentioned care and attention, rhubarb will do well for you in a pot. As always, trouble may pop up from time to time so it’s best to be aware of what might be going on so you can deal with them as they arise. Below are some of the common problems seen in container grown plants. Your plant either didn’t get to truly go dormant and it was too warm through the winter, or the roots froze in too cold a climate. Rhubarb will wilt, like most plants, in temperatures over 90 degrees in order to reserve enough moisture to keep from drying out. Be sure your plant has a well-drained, but moist soil through the worst of the heat and it should bounce back each evening and night just fine. 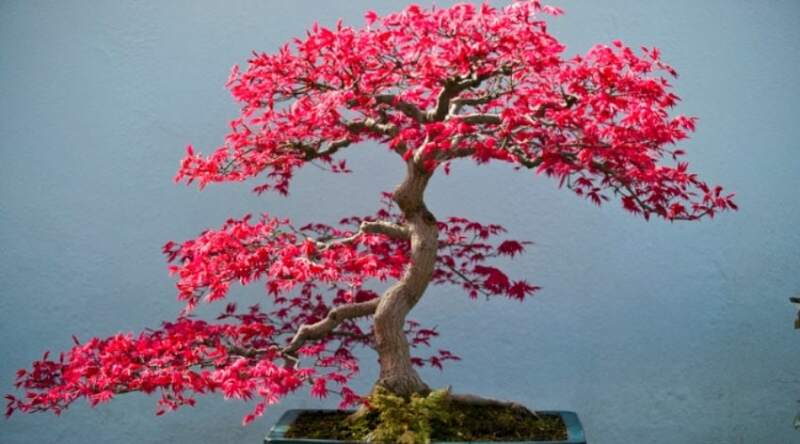 Heat also can radiate through the sides of your pot, and so arranging your pot so it is shaded by other pots or plants, or placing it in an area where it is receiving good indirect light may help this as well. Most likely there is either not enough water, or you are drowning out your roots with too much water and you do not have good drainage. Check your soil moisture – it should be damp no less than about an inch below the soil top. Another cause can be either too much fertilizer or a lack of nutrients. 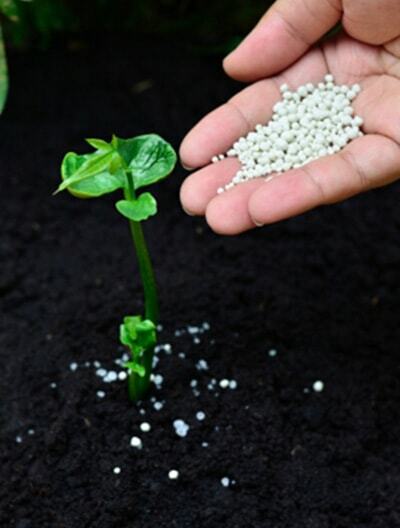 Fertilizing only once in the spring should be sufficient, and be sure to follow the directions of the fertilizer you purchase- and as always keep track of how you are feeding your plant. 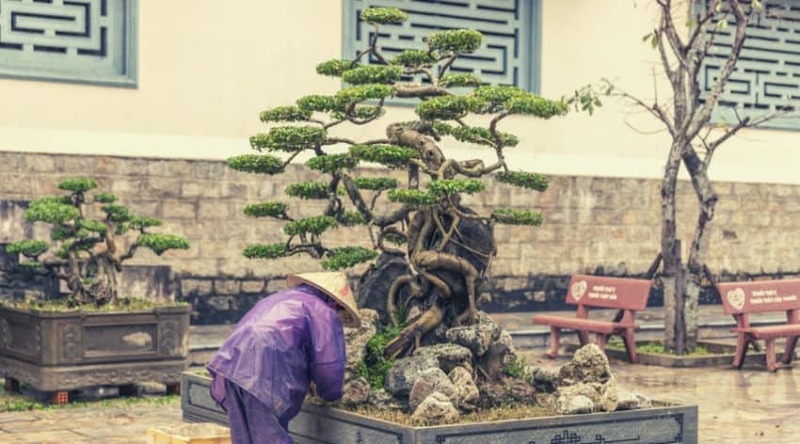 Your plant has either been overharvested and is unable to get in enough nutrients to produce, or it is becoming root bound and overgrown and needs to be divided and replanted. Personally, I cannot wait to give this a try and hopefully will have a nice little crop of rhubarb in a few years! I hope that you have great success as well and this article put all your fears of trying to rest! If you have grown, or to grow, rhubarb in a pot, please comment below on your tips, advice, failures, and success. And as always, please share!